Here’s a 1957 Ford Ranchero, seen a few weeks ago in Pendleton. This was the Ranchero’s debut year, coming two years before Chevy’s El Camino in 1959. For 1960 the Ranchero switched over to the compact Falcon body, while Chevy sold a full-sized Elky from ‘59-60. The Ford’s ute was in production until model year 1979, lastly based on its mid-sized LTD II. 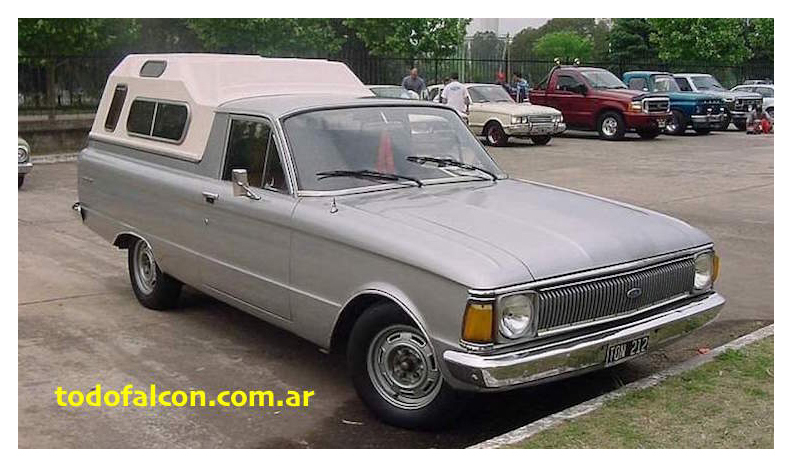 Ford Argentina continued to produce a Falcon-based Ranchero until 1991 (below right).